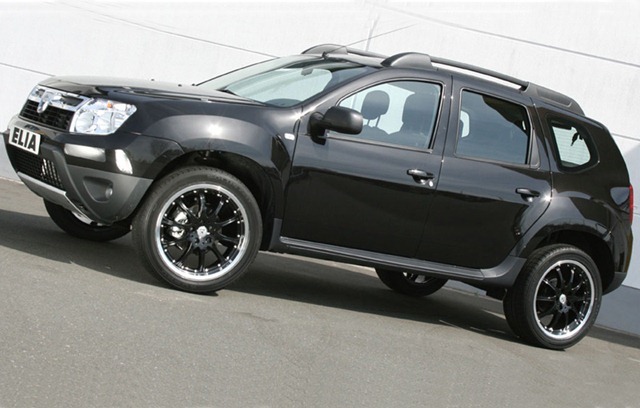 After being criticized by the Dutch and French publications, because of poor results obtained in tests of braking and stability, Dacia Duster is again on the first pages of the European newspapers with his first tuning package. The Germans from the Elia AG that modify models from Renault-Nissan and Volkswagen became interested by the first Romanian SUV. A first for the Romanian SUV, the kit prepared by Elia AG includes two sets of accessories, one more discreet named "Adventure" and one more complex which completely changes the SUV. The first package comes with a chrome front bar with the Duster logo, and chrome side steps. The complete kit includes new front and rear spoilers, side steps and a chrome exhaust tip. The fog lights are replaced with LED lights and there are two different sets of rims: the first is called Alia Ventis, has 16 inches and costs 110 euros/rim, The second is called Opal Elia, measures 18 inches and comes with two different finishes, one black and one silver, with a price of 185 and 169 euros/rim. 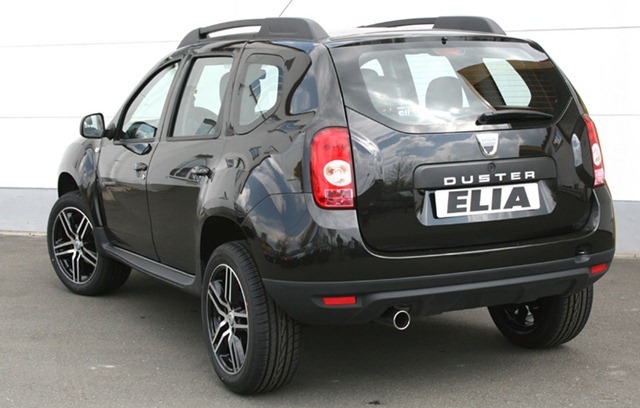 The Germans from Elia AG were not content only with the aesthetic changes and modified the engine that powers the Duster: the ECU system of the 1.5 dCi liter engine was modified to obtain a total of 122 HP and 265 Nm with 12 HP and 25 Nm more that will cost 589 euros.